Yugoslavia’s fascinating and complete military histories are displayed across this museum’s beautifully crafted displays and exhibits. 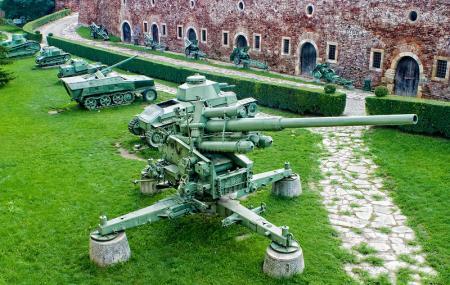 You get some freebies even before you enter the museum – tanks, cannons and other military paraphernalia are strewn about the Kalemegdan fortress grounds. The exhibits are chronologically arranged, and each major conflict gets its own exhibit. The museum has about 30000 objects in 12 collections and over 100.000 photographs. It’s one of the most important museums’ in Belgrade. How popular is Belgrade Military Museum? People normally club together Belgrade Zoo and St. Michael's Cathedral while planning their visit to Belgrade Military Museum.